GOOGLE AND FACEBOOK are working with the European Parliament to help prevent the spread of misinformation and outside interference in the upcoming European elections. This includes Google requiring documentation from those who wish to advertise for the European elections to prove that they’re “an EU-based entity or citizen of an EU member country… and make it clear to voters who’s paying for the advertising”. Facebook has plans to implement similar rules. We are working with Google, Facebook, digital players like that. In fact, they came to us saying they’re worried about the quality of information going out on their platforms, “Can we help?” So we’re working with them already because they have this concern. He said that “the main angle we’re taking on that is to say we need to get as much good information out there as possible via all possible means”. “Something else that’s being done,” Clark added, “we’re not actively involved in this, but we’re being informed about it, is that political advertising, paid promotion on Facebook and other platforms, is now more transparent than it was before. So if someone posts political advertisement on Facebook you can through a link on the screen go and see everything else produced by that same organisation and where it’s published. During Ireland’s Eighth Amendment referendum, Google suspended advertisements on YouTube and Google Adwords relating to the referendum. Facebook also banned ads on its platform related to the referendum if they were from advertisers based outside of Ireland. 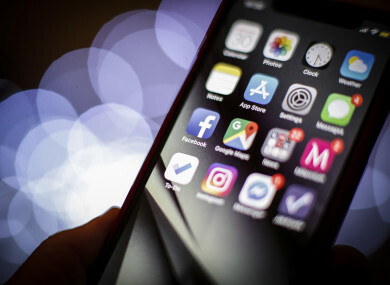 At the time, Facebook said that it would ban paid adverts “attempting to influence the outcome of the vote on May 25″ but added that it wouldn’t “block campaigns and advocacy organisations in Ireland from using service providers outside of Ireland”. Both tech giants have similar plans for the European elections. Anyone wanting to run EU parliamentary election ads on Google’s platforms must provide documentation to show they’re an EU-based entity or citizen of an EU member country – and we will provide disclosures on each ad to make it clear to voters who’s paying for the advertising. This includes ads for political organisations, political parties and individual candidates and politicians. There’s more to come: in a few months’ time, we’ll introduce an EU Election Ads Transparency Report and a searchable ad library to make this information as accessible and useful as possible to users, practitioners, and researchers wanting to know more. Email “Google and Facebook 'worried' about 'bad actors' spreading fake news during European elections”. Feedback on “Google and Facebook 'worried' about 'bad actors' spreading fake news during European elections”.